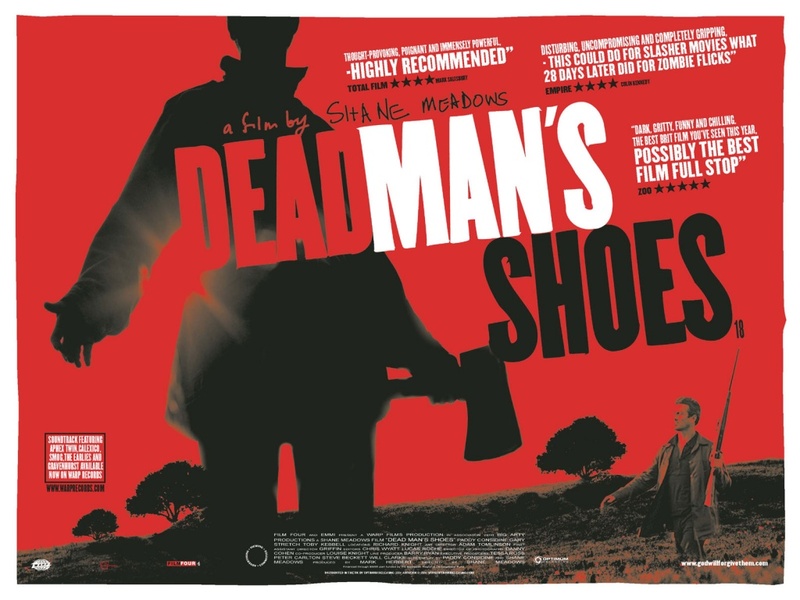 Although best known for introducing us to the memorable characters from This Is England, Shane Meadows has racked up a hugely impressive filmography – and none more memorable than his 2004 classic Dead Man’s Shoes. Unlike those other stalwarts of British film Ken Loach and Mike Leigh, who go where the story takes them, Meadows has chosen to locate his features almost exclusively within spitting distance of his beloved Nottingham (with the exception of his 2008 film Somers Town); so much so that the Midlands and Meadows have virtually become conjoined twins. Meadows may stick to where he knows best, but that doesn’t mean he sits back on his laurels as a filmmaker. And instead of playing it safe with the kind of kitchen sink drama that is a staple of the UK’s film output, he often goes looking across the Atlantic for his influences. His debut feature Small Time had Scorsese all over it, while 2002’s Once Upon A Time In The Midlands (his one failure) gave a nod and a wink to Sergio Leone’s love letters to the American West. The same can certainly be said of Dead Man’s Shoes. However, the influence of America and American cinema hasn’t led to his aping it. Instead, those Midlands settings marry together with Meadows’ idiosyncratic style to create something utterly unique. District with his brother Anthony (Toby Kebbell) in tow. Home video footage is interspersed of the siblings to underline the bond between them. The screen fades to black and Richard says: “God will forgive them. He will forgive them and allow them into heaven. I can’t live with that.” The ‘them’ he is referring to are a gang of low-level thugs and drug dealers who abused Anthony, who we discover has learning difficulties, while Richard was in the army. Richard makes his presence known when he faces down one of the abusers, Herbie (Stuart Wolfenden), first in a pub and then outside a flat, where he turns up wearing a military gas mask, leads Herbie and his mates on a merry chase and steals the drugs that have been supplied by gang leader Sonny (ex-boxer Gary Stretch). Sonny confronts Richard, who advises they leave town or suffer the consequences, pointing out that it’s now “beyond words”. When Sonny and co fail to heed Richard’s suggestion they discover just who it is they are dealing with when one of the gang is discovered bludgeoned to death by an axe and the words ‘one down’ written in his blood. Sonny goes on the offensive and with his lackeys heads to the abandoned farm Richard and Anthony are staying at to shoot him. However, the plan drastically backfires and the terrified gang retreat. When the remaining members arrive back at Sonny’s house they search the place expecting to find their tormentor there. But Richard is hiding and while they are upstairs he laces their kettle with the drugs he stole. A few hours later and the surviving trio are out of their minds and easy prey for Richard, who kills them one by one in an extremely disturbing scene. There is one final member left though and Richard travels to a nearby town in search of Mark (Paul Hurtsfield), who has left his bad days behind him and now lives with a wife and children. When the horror-struck Mark learns of who is after him, he unburdens his soul to his wife, telling her of the final act of abuse inflicted on Anthony which led to him killing himself. As it transpires Richard has been alone the whole time. Richard takes Mark hostage and forces him to drive to the spot where Anthony died. However, instead of exacting his final revenge, Richard instead forces Mark to kill him, telling him that all he wants to do is lie with his brother. The film that comes to mind most when analysing Dead Man’s Shoes is the deeply pessimistic 1973 western High Plains Drifter, wherein the revenge plot is suffused with the supernatural (I choose to believe the character of Anthony is a ghost rather than a figment of Richard’s broken mind). The story doesn’t quite ring true when you really think about it (where are the police in all of this?) and it soon becomes obvious that none of them is any match for Richard. The camerawork is a little pedestrian at times, also. 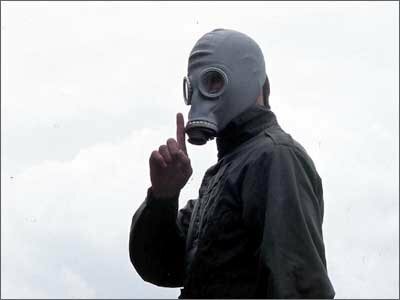 However, the plus points of Dead Man’s Shoes far outweigh the negatives. The acting by a largely inexperienced cast is naturalistic, with Kebbell a standout in his feature debut. Portraying someone with learning difficulties can easily come across as broad and forced (Sean Penn in I Am Sam is a notable example), but Kebbell underplays the part, making Anthony a truly tragic figure. This is Considine’s show, though and he stands head and shoulders above everyone else. Since making his debut in Meadows’ A Room For Romeo Brass in 1999, Considine has become one of this country’s finest actors (and one of its most promising directors following the acclaimed Tyrannosaur). Much like he did in Small Time, Meadows paints the gang as somewhat comical in nature, be it their Three Stooges-esque larking about, or the fact they drive around in a knackered old Citroen 2CV. However, the stakes facing them are far higher and this tone at times sits a little uncomfortably with the subject matter, especially during the protracted scene where Richard dispatches Sonny and the others in brutal fashion. The effortlessly cool soundtrack, featuring the likes of Aphex Twin, Richard Hawley and Bonnie “Prince” Billy is pitch-perfect and complements Meadows’ atmospheric cinematography, most notably in the moments Richard is walking through the countryside or on the farm. Right now Meadows seems content with exploring the lives of the characters from This Is England. 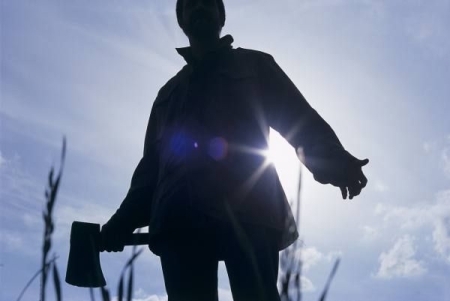 However, one hopes he will soon explore new avenues as we need more films like Dead Man’s Shoes made in this country. Excellent review, my friend, wonderfully written! I never really though of Kebbell as a ghost, always as a figment of Paddy’s imagination. Interesting take! Thanks Joseph; that means a lot buddy. That’s always been my interpretation, although a figment of the imagination works too. I equate the film with being a revisionist western, a bit like High Plains Drifter which is why I went with the supernatural angle.